The human body is designed to protect itself internally and externally. Tonsils are part of the body’s internal defense system. There are three types of them and together they form what is known as Waldeyer’s tonsillar ring. Tonsils are made up of lymphatic tissue encased in pink mucosa. They contain lymphocytes that are white blood cells which prevent disease and fight infections. Their surface is covered with between 10 and 30 (depending on age) pockets or folds called crypts. Crypts act as nets and catch foreign matter like bacteria, germs, mucus, or viruses. 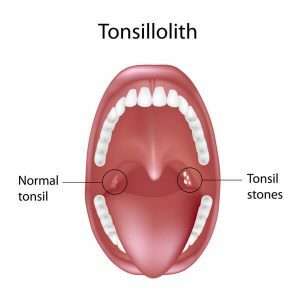 Tonsil stones are also referred to as tonsilloliths, tonsilliths, tonsil calculi or tonsillar crypts. They are formed when the foreign matter caught in the crypts hardens or calcifies over time. They present as white or pale yellow specks on the tonsils. Depending on how long they’ve been in the tonsils, they may be soft like cheese or hard like stone. Older children and adults get them more than anyone else and the following factors are said to cause them. A poor oral hygiene routine – irregular brushing, not flossing or using mouthwash – allows unhealthy bacteria to form in the mouth creating an environment in which tonsil stones thrive. However, even with good oral habits, it’s still possible to get tonsil stones. Tonsillitis is a condition where tonsils become inflamed as a result of exposure to bacterial and viral infections. The inflammation can cause the formation of crypts giving food particles and other materials places to hide. Chronic sinus issues result in a post-nasal drip. This is when excess, bacteria-rich mucus gathers in the back of the nose and throat. It eventually ends up in tonsil crypts creating a perfect environment for tonsils stones to grow. Diets rich in dairy products like milk and cheese cause mucus and phlegm to thicken. This makes it difficult to eliminate from the lungs and throat and can result in it ending up in tonsil crypts where it develops into stones. Dairy can also cause allergic reactions that result in the increase of mucous which causes post-nasal drips that can result in tonsil stones. Allergic reactions brought on by milk can also irritate the throat creating conditions where tonsil stones thrive. 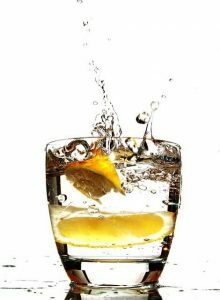 Alcohol dries out the mouth and smoking slows down the production of saliva and interferes with the lungs’ ability to clear phlegm. Saliva helps limit bacterial growth and washes away food particles caught in various areas of the mouth including the tonsils. Poor hydration impacts saliva production. Saliva contains oxygen that prevents the development of unhealthy bacteria tonsil stones need to form and develop. For the most part, tonsil stones are often asymptomatic – producing or showing no symptoms. However, if not removed, they may continue to grow and become symptomatic and causing you to experience a number of conditions including the following. Difficulty breathing and pain when swallowing, eating, or drinking. Pain or pressure in or around the ears. The following home remedies can help remove existing tonsils stones or prevent them from forming. Apple cider vinegar has anti-inflammatory properties and high pH levels. It can help break down tonsil stones and thin out mucus and phlegm. Add one tablespoon of raw unfiltered apple cider vinegar to a glass of water. Mix and drink twice a day. You can also gargle with it. Add one or two teaspoons of raw unfiltered apple cider vinegar to a glass of warm water. Mix and gargle for 30 seconds two to three times a day. You can choose to eat it raw a few times a day or, for a less intense experience, gargle with a garlic solution. 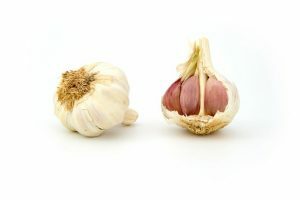 To make the solution, add about three to five peeled garlic cloves and three sprigs of fresh peppermint to two cups of warm water. Peppermint increases circulation of oxygen-rich blood. Let the mixture sit for ten minutes. Before using the solution, remove the garlic cloves and peppermint sprigs. Gargle the solution three times a day for about thirty seconds until the stones are gone. 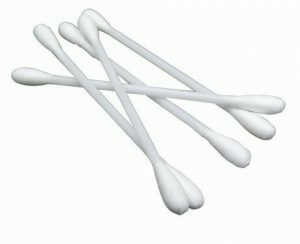 A cotton swab can be used to ease tonsil stones out of their pockets. You’ll need a mirror and a light source like a flashlight to help you avoid prodding at the tonsils blindly. Always use a sterile swab and wet it before you begin. Dry swabs can tear the surface of the tonsils causing bleeding and open sores that can get infected. Once the stones are out, gargle with a saline solution. This gets rid of any odor, ensure that all remnants of the stones are gone and also heals oral sores. 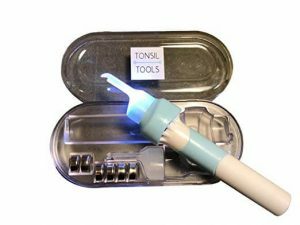 If you experience tonsil stones often you may want to invest in a tonsil stone removal kit. The kit comes with a variety of tools to choose from based on on your preference and comfort level. Most kits have a tonsil stone extractor with either a flat or scooped end or both. Some may even light up so that you can see what you’re doing. It may also include a curved irrigator syringe, a premixed saline solution or powder, and cotton swabs that are longer than the average. Instructions for use are also included. 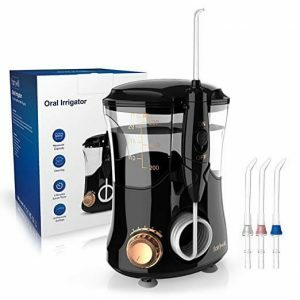 Oral irrigators like water piks and flossers are devices that use liquid under pressure to remove material stuck between the teeth or around the gums. They can also be used to dislodge and remove tonsil stones. To use, add lukewarm water to the irrigators’ water tank. Use a mirror and a light source to locate the stones and gently nudge them out. Be sure to watch the water pressure as too much pressure can damage tonsil tissue. Once the stones are removed, gargling with a salt-water mixture to eliminate any residual bad odor and any remove any remaining pieces of stone. Gargling with salt water is an effective way to remove visible tonsil stones. 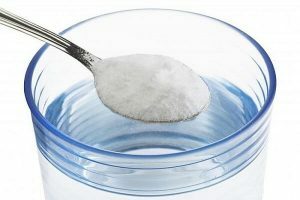 Mix a tablespoon of iodized salt with 8 ounces of warm water. Vigorously gargle with the salt-water solution until the stones are dislodged. The same solution can be used as a post-meal mouth rinse to prevent stones from recurring as salt increases alkalinity in the mouth creating conditions that are not conducive to harmful bacteria growth. 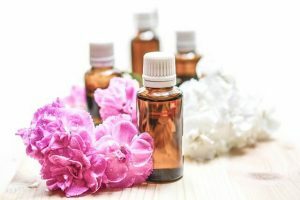 Essential oils like lavender, myrrh, lemongrass, and thieves (a blend of clove, cinnamon bark, eucalyptus, lemon, and rosemary) can be used to eliminate tonsil stones. Their medicinal and therapeutic properties include anti-inflammatory, antifungal, antibacterial and antiseptic. Mix one to two drops of essential oil with a carrier oil like coconut oil or olive oil. Essential oils are potent and carrier oils reduce the potential for irritation. Apply the oil blend onto a toothbrush and use it to brush your teeth and tongue twice daily. You can also add the oil blend to a bottle with a spray nozzle and apply it on the affected area. Avoid ingesting the oils as they may cause digestive issues. 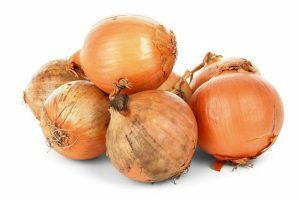 Onions have potent antibacterial, anti-inflammatory and antiseptic properties. Chewing a raw onion for two and three minutes up to five times a day. Gargling with an onion water solution is also another option. Use a juicer to extract juice from one large onion. Mix the juice with one cup of warm water. Gargle the mixture three to four times a day for ten consecutive days or until the stones are gone. Lemon juice, like ACV, is acidic so it can be used to dissolve stones. It also has high amounts of vitamin C that boosts the immune system and antiseptic qualities that can be used to inhibit the growth of harmful bacteria. Gargling for one minute with a mix of lemon juice, warm water and salt is an effective way to remove existing tonsil stones. To prevent them from reoccurring, drink a glass of a mixture of lemon juice and warm water or lemon and chamomile tea daily or every other day. If your tonsil stones are the result of a post nasal drip, then using a nasal irrigation is an important step as it washes out bacteria-tainted mucus. 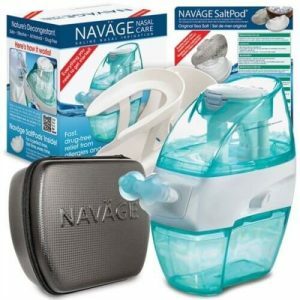 You can buy a pre-mixed nasal solution or make your own. Add a half a teaspoon of non-iodized salt plus a pinch of baking soda to two cups of warm water. Place the saline solution into a squeeze bottle, neti pot, or syringe. Position yourself over a sink and gently squeeze the liquid into one nostril then the other. The solution will come out through the nostril and the throat. Try your best not to swallow any of it. This procedure can be done once a day until the post nasal drip is cleared. 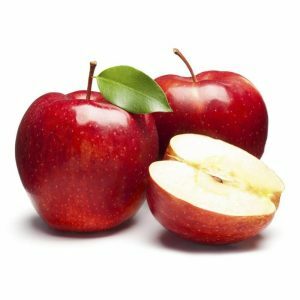 Apples are mildly acidic and can be used to break up tonsil stones. They also have high levels of fiber and water. When you eat an apple after a meal it sweeps up particles in the mouth and throat prevent them from getting caught in the crypts. It also stimulates saliva production that prevents bacteria needed for tonsil stone formation. A soft bristle or an electric toothbrush can be used to remove tonsil stones that are near the surface of the tonsils. 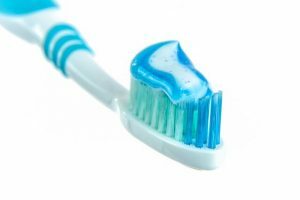 With a soft bristle toothbrush, either side can be used to nudge out the stones. Using gentle pressure and the assistance of a mirror, push out the stone. When using an electric toothbrush, however, only the backside should be used. Place the toothbrush by the stone and turn it on. The vibrations and circular motion will dislodge the stones. Once the stone pops out, gargle around the throat and mouth with a saline solution or alcohol-free mouthwash. This takes care of any unpleasant odor caused by the stones as well as any residual pieces, bacteria or foreign matter. Probiotics contain healthy bacteria that help to keep the mouth healthy by preventing plaque and bad breath. 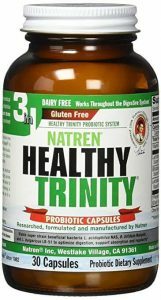 They can also decrease inflammation and eliminate bacteria tonsil stones need to develop. They can be found in products like enhanced milk, yogurt, soft cheeses and kefir among others and can also be taken in supplement form. 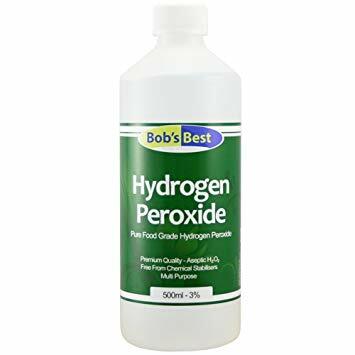 Hydrogen peroxide has oxidizing, antiseptic and antibacterial properties. It can be used to remove tonsil stones via gargling as well as to maintain good oral health. To make a gargling solution, add one tablespoon of 3% hydrogen peroxide to a glass of water. Gargle for two to three minutes twice a day until the stones are removed. As a preventive measure, gargle two times a day preferably after meals. 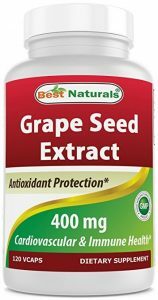 Grapefruit seed extract has antifungal and antibacterial properties. It can be used to remove tonsil stones as well as prevent them from coming back. To use, add a few drops of the extract to a cup of water or you can add it to non-alcoholic mouthwash. Gargle two times a day until the stones are gone. Tonsil stones can be an indicator of a larger issue. Therefore, seek medical assistance if you experience any of the following. You’re experiencing all the symptoms but are unable to locate any stones.